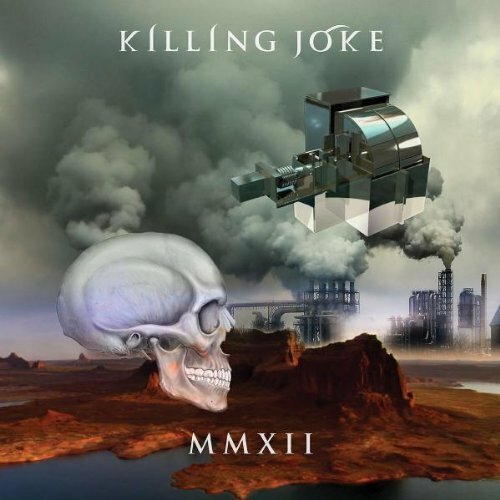 GATHER ROUND, KILLING JOKE REVIVES THE ANGST WHILE KEEPING IT COOL WITH MMXII!! Killing Joke is a band that has been around since the late 1970’s. They are one of the few surviving techno-punk bands still churning out new, meaningful material today. Their newest album, MMXII gives us the best of both worlds of their schizophrenic existence. One side of the Killing Joke coin is heavy, gritty, anger-filled bombast. The other side, the calmer, cooler, collected Killing Joke has come with age and experience. Some of that calmer, polished side comes from the vast experience of returning bass player/producer/re-mix artist Youth (officially Martin Glover, first named Pig Youth, also known as Orion) who also has worked with (those damn Beatles again) Paul McCartney in a group called The Firemen, but is most notably reputed as a house and techno mix-master. Youth replaces the late Paul Raven who, while recording in Switzerland, after a session, returned to his room, fell asleep in a chair, and passed away of a heart attack. It was at this point Killing Joke re-evaluated where they were, where they were going. You are currently browsing the BouleBlog blog archives for November, 2012.